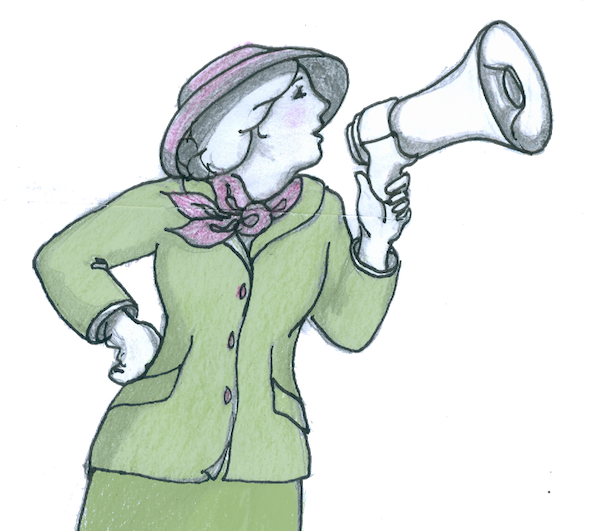 If you are thinking of starting a campaign for a statue or memorial honouring women and would like to find some wonderful inspiration for ways of getting attention just check the tactics used in campaigns like those for Mary Wollstonecraft and Emmeline Pankhurst. What a brainwave to project Mary Wollstonecraft's image on to the Houses of Parliament, a great way to get her in the public eye. And imagine the power of organising a public vote like the one in Manchester to start the conversation and get a real sense from the wider public about who they truly value. 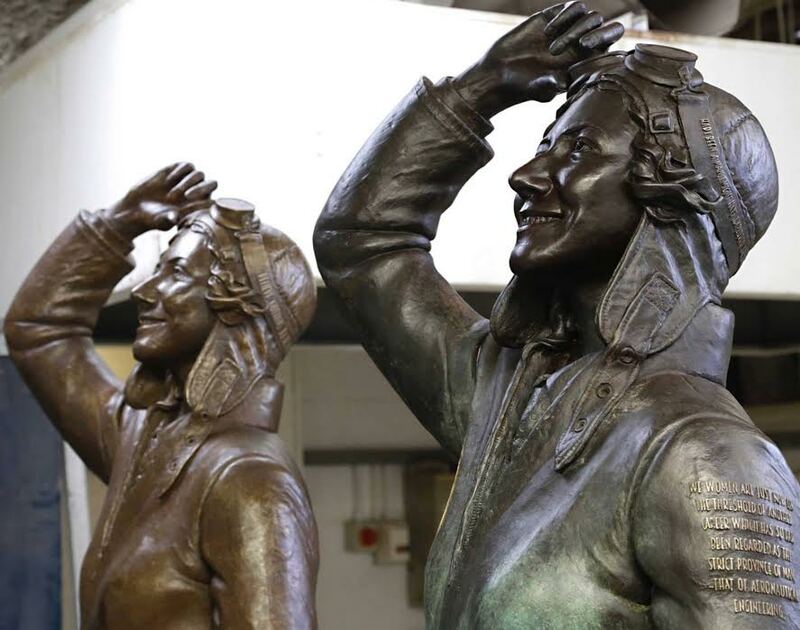 The energetic, effective campaign, led by engineer Jane Priston, to celebrate the astonishing achievements of pioneering aviator Amy Johnson resulted in not one but two beautiful, lively statues. So that’s a thought to bear in mind; is there more than one place that is significant in the life of the person or group that you are campaigning for? Once the sculptor’s work is done, more than one cast can be made. We have such a lot of ground to make up in terms of the recognition of women that this is a strategy worth considering. Amy was important both to the people of Hull where she was born and in Herne Bay where she died. 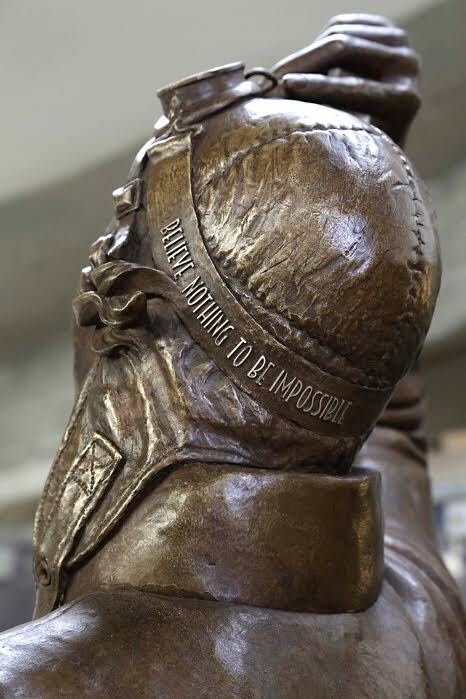 Another clever feature of these statues is that even without a sound component they still allow Amy’s inspiring words to reach us through engravings of her words on the surface of the statue. And for some food for thought from the USA take a look at the Moving On page for the Millie Dresselhaus video. Attitudes are changing everywhere. 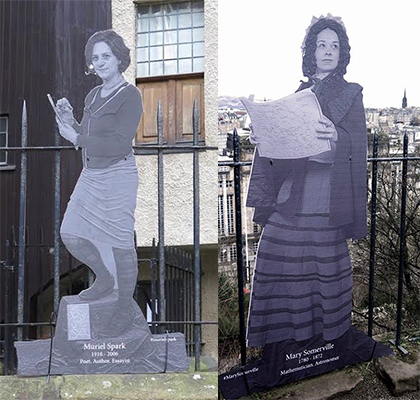 The clever "Wifies" - www.wifie.org.uk - in Edinburgh made life size portraits (above) of the women they wanted to see honoured, then set them around the city: a real call to action. With the extra money raised Sheffield City Council were able to strike commemorative medals to be presented to the surviving steel factory workers. In Istanbul the Su Gender Department of the University run "Curious Footsteps" walks around the city, telling the stories of those whom history disregards; the minorities, the LGTBQ, the undocumented. In telling the story of the first Muslim actress, Afife Jale, an unexpected result occurred. Afife was ostracised by her family and community for her career choice but went on to become very successful. She acted in an Istanbul theatre which has latterly become the Rex Cinema. The walking group always stops at the cinema to tell her story. Imagine their surprise to find a bust of the actress installed there. 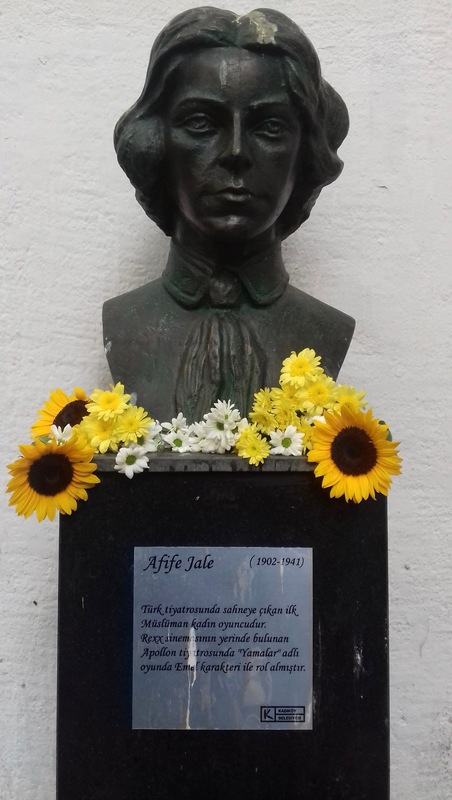 It seems that the repeated telling of her story inspired an architect to sculpt her bust and donate it to the cinema who agreed that it should be installed on the spot where the Curious Footsteps groups come to hear the tale of the brave and famous Afife Jale. This is one way for us to ensure that women are not airbrushed out of history. This tireless campaigner for women's right to vote, Emily Wilding Davison, is reported to have gone on on hunger strike 49 times. In total, the dedicated suffragette was detained in prison nine times. The empty bowl in the statue represents her refusal to eat. 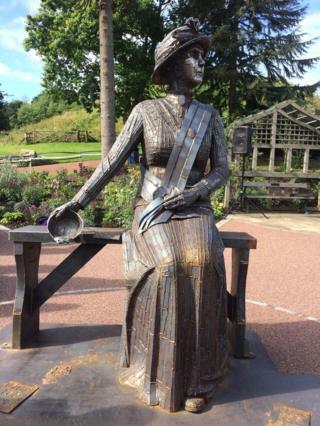 A statue of the suffragette, who was trampled to death by the Kings horse has been unveiled in Morpeth, Northumberland. 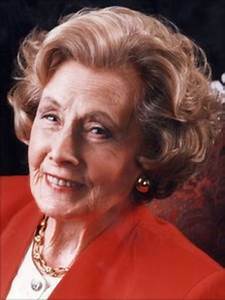 Although an annual commemoration of Davison’s life is held at St Mary’s church in Morpeth, there has been no prominent memorial to her life and achievements – except her grave. It has taken 100 years for this fitting tribute to her sacrifice has been erected. Between June-July 2018 the put her forward team travelled England asking the public to nominate women they found inspirational.Here are just 3 of the 25. See them all at http://putherforward.com/the-women/. Jean Bishop Now on display at AGE UK Hull. 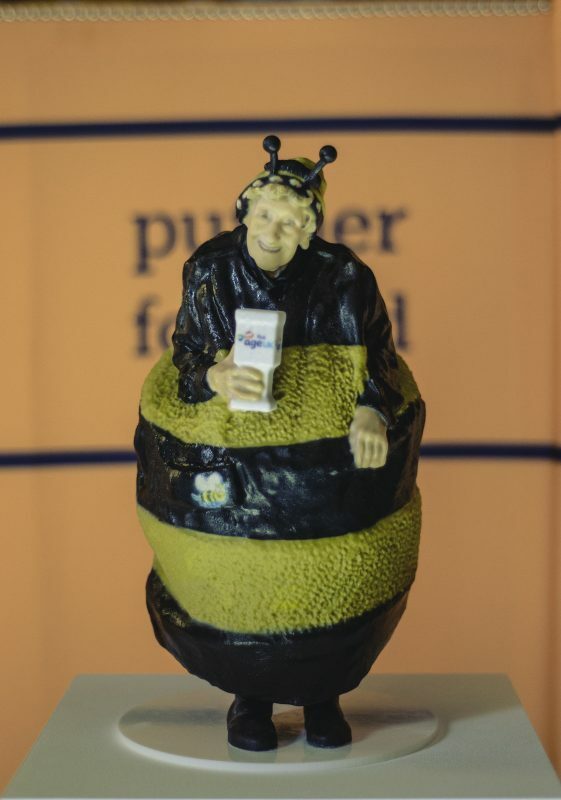 Jean, known affectionately as “The Bee Lady”, has been volunteering for Age UK Hull for more than 30 years dressed in her bee costume. 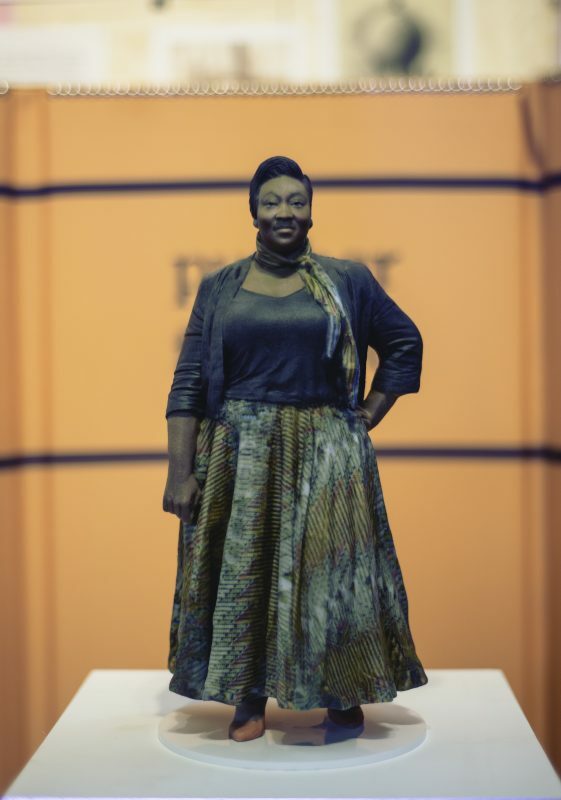 Phyllis Opoku-GyimahUnveiled Friday 14th September at 4pm at Historic England's Immortalised Exhibition at the Workshop in London Phyllis, also known as Lady Phyll, is the powerhouse behind UK Black Pride and has been one of the most visible lesbian women of colour in the UK. 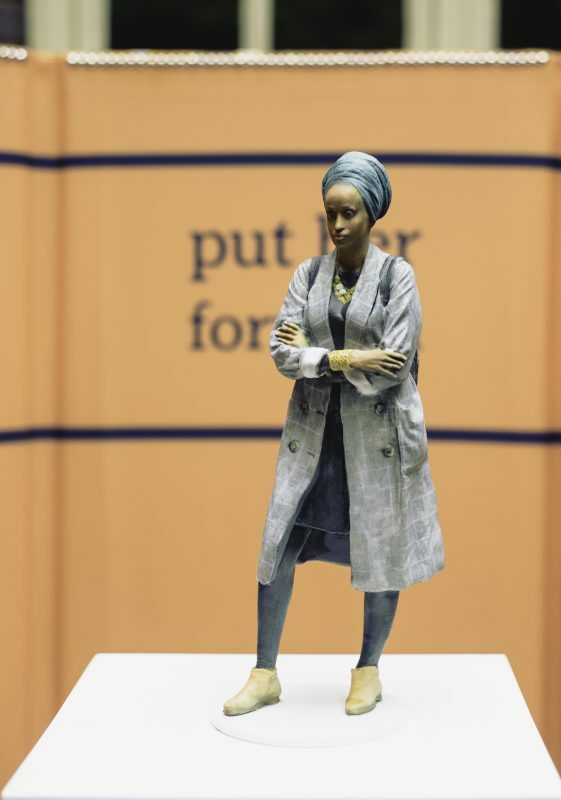 Hundreds of nominations were gathered through workshops, online nominations and live interviews, and from these 25 were selected to be 3D scanned and printed into small statues. 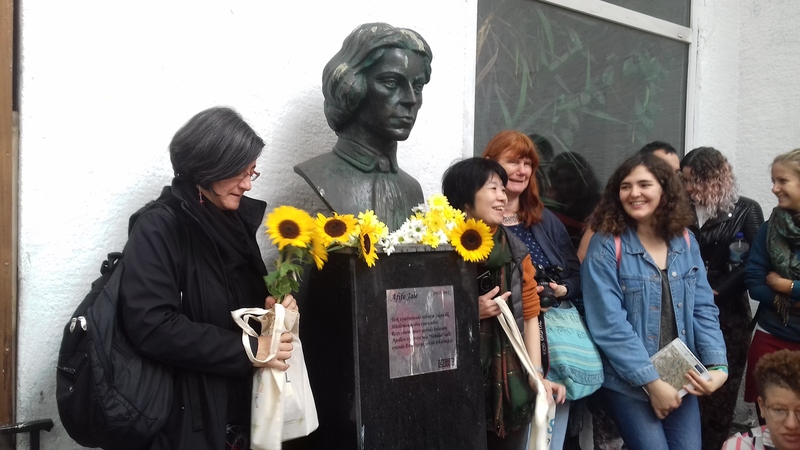 These small statues seem like the perfect maquettes for full-size civic statues to be seen out on the streets, where we can all be inspired by the work of these wonderful women. There is a new campaign for a statue to Barbara Castle, who was M.P. for Blackburn from 1945 - 1979 ( and a feisty campaigner herself ) The staue is to express thanks for everything she did for us all, not least in terms of workers rights and the Equal Pay Act. An impressive £20,000 has already been raised and a site has been secured in Blackburn Town Centre. Well hallelujah! Size isn't everything, but how great that this new sculpture in Plymouth will be the country's biggest bronze - and it will be a woman. 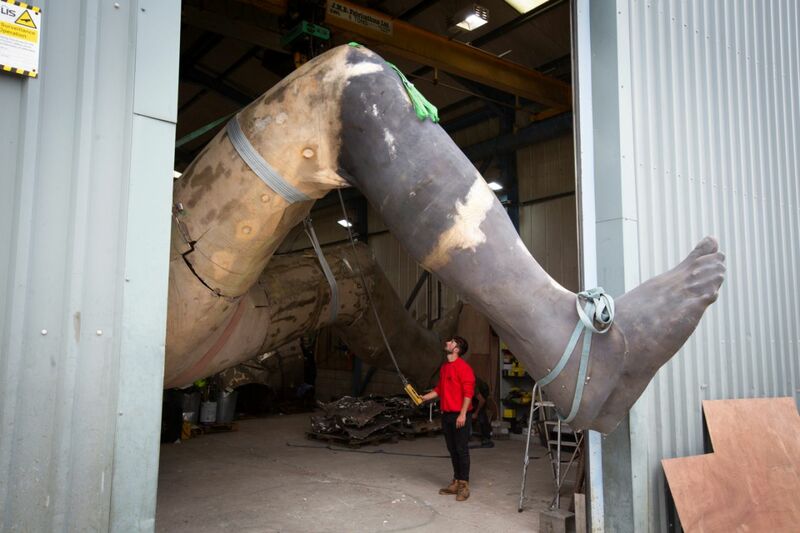 The 7m (23ft) sculpture, called 'Messenger', will be installed outside the Theatre Royal. Sculptor Joseph Hillier was inspired to create it by an actor rehearsing Shakespeare's Othello at the theatre. He said its name refers to the "pivotal" role of a performer to "breathe life into words". 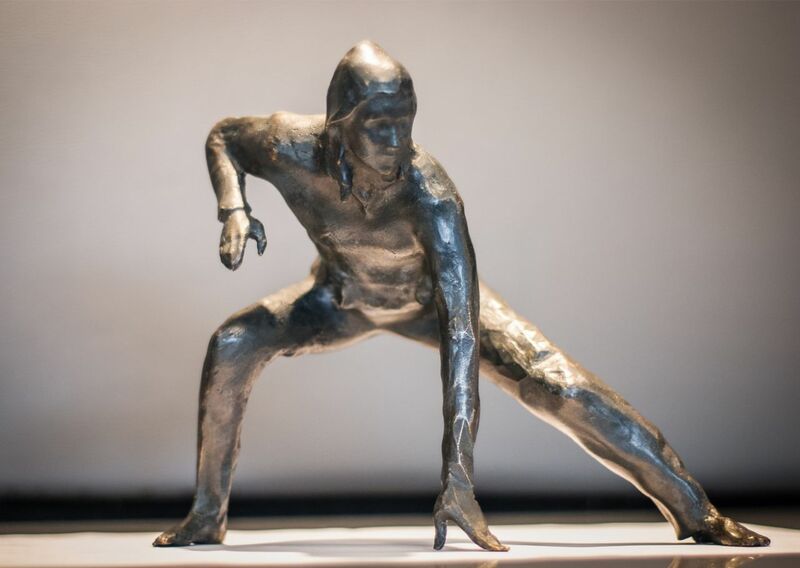 The sculpture, commissioned by the theatre, has a working title of Bianca after the character whose "split-second pose" is the basis for the piece. "This work offers a young, powerful woman, a potent force about to transform the world by her actions," Mr Hillier said. "The actor ...carries a message...It's a metaphor for what great theatre does". 'Messenger', will be unveiled next year in front of the Theatre Royal. It will be so huge that when he is lying down the sculptor is the same size as one of its feet. He told the Press Association that the piece will be the largest bronze sculpture in the UK by volume – at 25.6 metres cubed and will weigh nine and a half tonnes. Speaking on Radio 4 Hillier said that when he looked around Plymouth he saw so many statues of men that he decided to choose a woman for his subject. She couldn't believe that someone as important as the pioneering fossil hunter, Mary Anning had no statue. 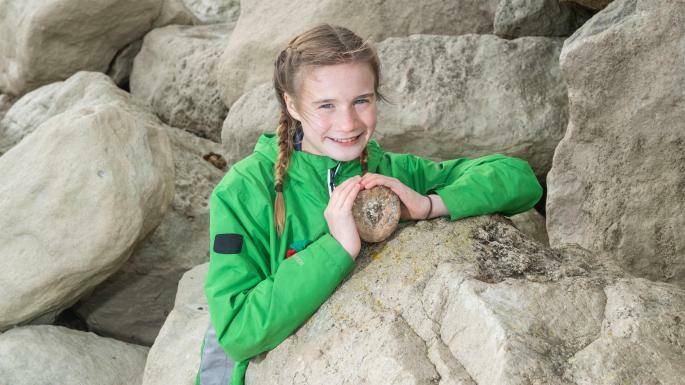 Evie Swire ( who is the same age as Anning was when she found her first fossil ) has started a campaign for a statue to be built of the working-class Victorian woman whose discoveries helped to shape the theory of evolution. She has secured the backing of Sir David Attenborough. 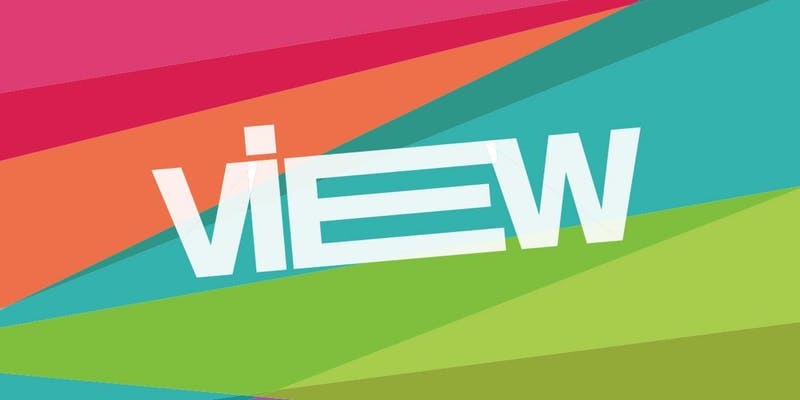 VIEW is a project in Aberdeen, part of the Visual Arts and Culture Programme at University. The event marks the centenary year of the Representation of the Peoples Act 1918 and celebrates the achievements of some of the very many women still overlooked by history. There will be activities and a talk - all free - a participatory performance on Castlegate, making artworks to celebrate the achievements of women over the last 100 years of suffrage. The talk will cast a beady feminist eye on how UK civic statues give the impression that it is almost only men who have ever done anything worth commemorating and how that is changing with great women - activists, reformers, and pioneers - begining to be honoured at last. Come along and take part - click on link below. Historic England have described the attempt to move the Statue of Mrs Pankhurst from her site near Parliament as "arbitrary " and have objected to the move suggested by the Pankhurst Trust. They criticise the proposed new site for this listed statue as having 'limited public benefit' due to its "private nature". 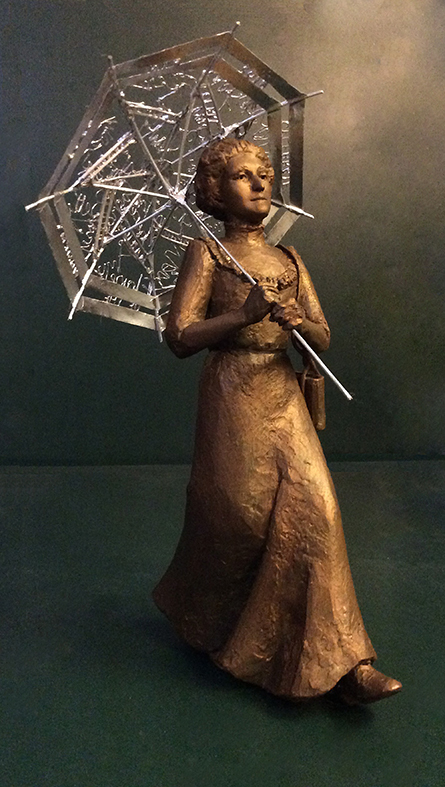 In effect, the move would steal this relatively rare statue of a women, honoured for her contribution to the cause of universal suffrage, from the public view. It would hide her away - render her virtually invisible. The campaign fo a permanent statue in Lyme Regis in honour of the famous fossil hunter Mary Anning has passed another milestone and gained unanimous council approval. 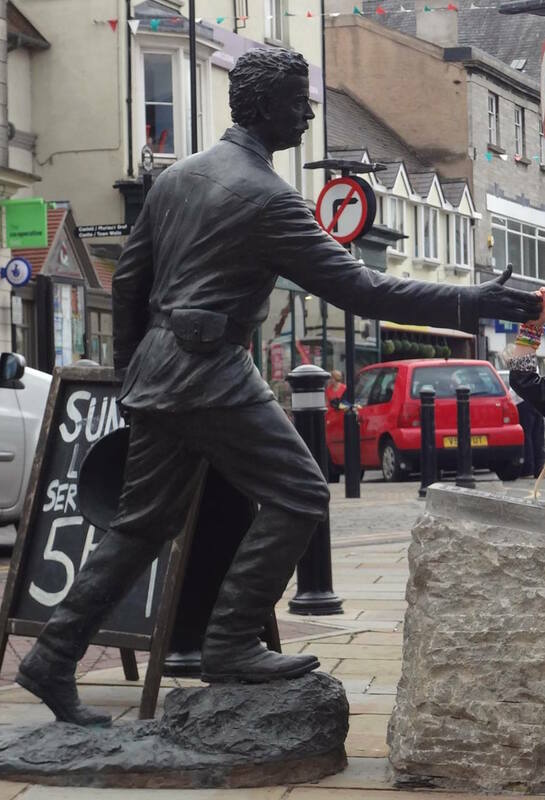 Set in motion when fossil mad Evie Swire asked her mum, Anya, why there wasn't already a statue of Anning in the town 'as she is amazing'. So Anya then met with town and district councillor Cheryl Reynolds who said "A statue for Mary has always been something we wanted to do for the town, we just needed the energy and the girl power of the young to kick start it,"
''We are very good at immortalising men in this country," said Anya. "But when it comes to remembering and celebrating.. remarkable .. women .. we are, sadly, really bad at it." So who are our boys and girls looking up to? Mary Anning is a perfect example and a statue to her is long overdue." The #MaryAnningRocks campaign is looking for local people, schools and businesses to help with the project. It would be funny if it were not so sad and ridiculous to see the manoueverings engendered ( we can only assume ) by the arrival - finally - of the statue of one lone women in the Parliament Square "gentlemen's club" of 11 chaps. 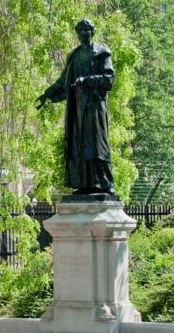 Why, WHY would this statue of Emeline Pankhurst, paid for and placed by suffragettes, need to be moved on to a site with no connection ( despite attempts to argue to the contrary ) to her? For a fuller discussion of the issue see the Guardian and Womans Sphere, links below. It's Happaning Everywhere - in Lexington, Kentucky, where there are more statues of men, horses, dogs ( and even a camel ) than women, people have finally had enough. 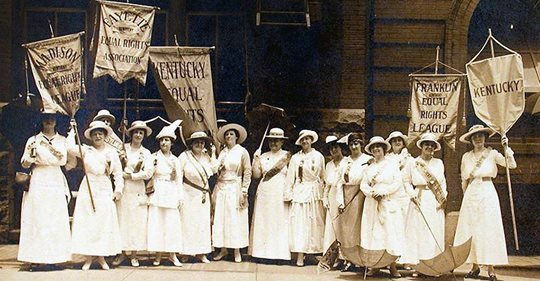 Reporter Tom Eblen wrote - "A century ago, Lexington women were national leaders in the movement to secure civil rights for women, including the 19th Amendment giving them the right to vote. 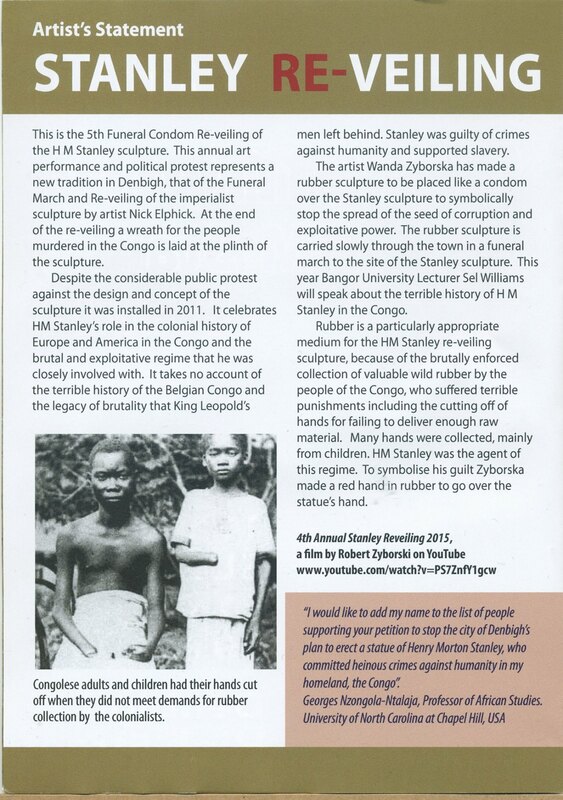 But there are no statues, monuments or plaques in town to honor them. In fact, while Lexington has many monuments to men and horses — and even a dog and a camel — I know of only one significant statue honoring a woman. A bronze Catherine Spalding (1793-1858), founder of the Sisters of Charity of Nazareth, sits outside KentuckyOne Health St. Joseph Hospital. A non-profit group called Breaking the Bronze Ceiling hopes to change that. The group ...is raising money for a monument to the history of women in Fayette County to be placed in a prominent downtown location during 2020, the centennial of 19th Amendment’s ratification." 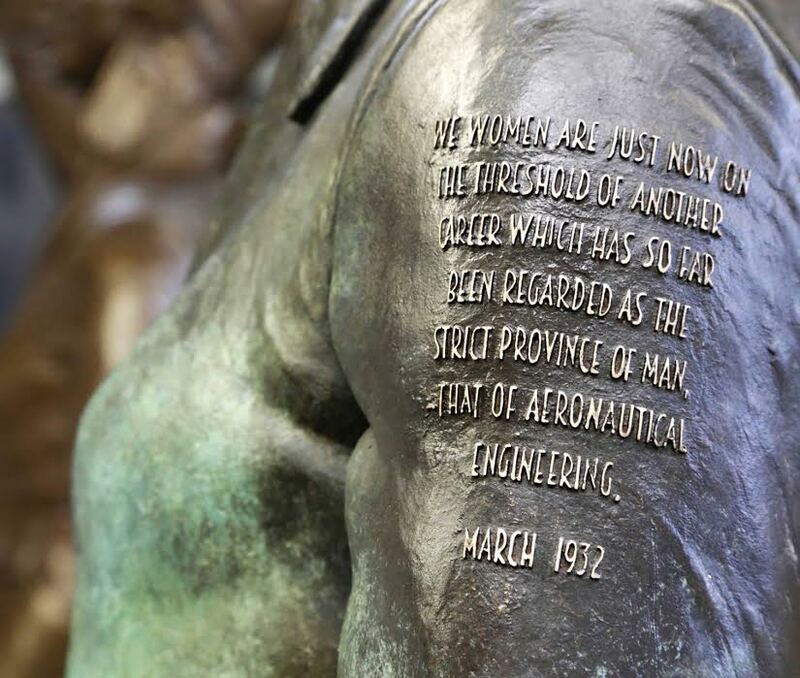 When it emeged that the Talking Statues project ( see post 94 for how that works ) in Bedford would be the voices of men and none of women a group formed to change history in the town. 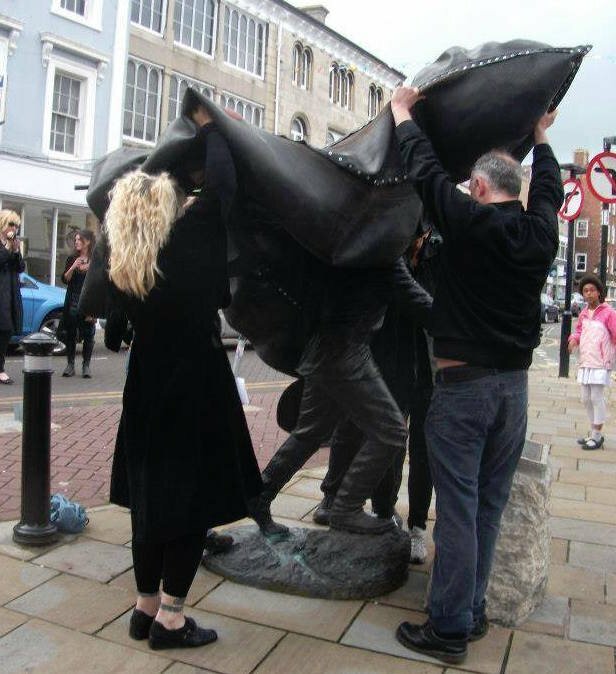 Their aim is simple – to celebrate the Women of Bedford, by installing the first public work of art in the town of a female which will be the first of several. Despite a wealth of strong, high-achieving women in Bedford's history; Artist Dora Carrington, Fashion Desingner Jean Muir, Santosh Kumari of the Asian Women's Foundation and Long distance runner Paula Radcliffe MBE - not one of the 11 existing works of public art in the town is of a female - such a common theme across the country. 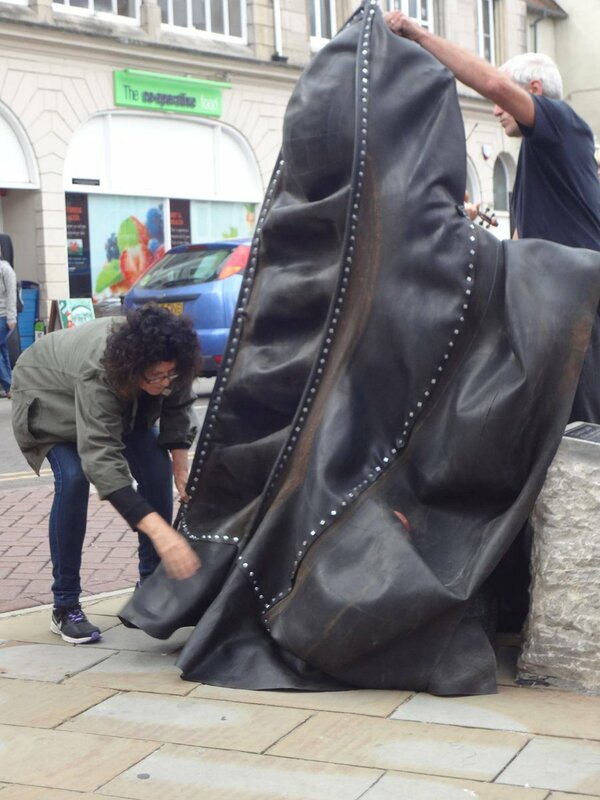 The statue will recognise the significant contributions women have made, and continue to make to the borough in politics, the arts, business, education, health, social care and science. Their aim is to Celebrate the women of the past to inspire the women of the future! Talking Statues. How does that work? Listen Up - Here's How. 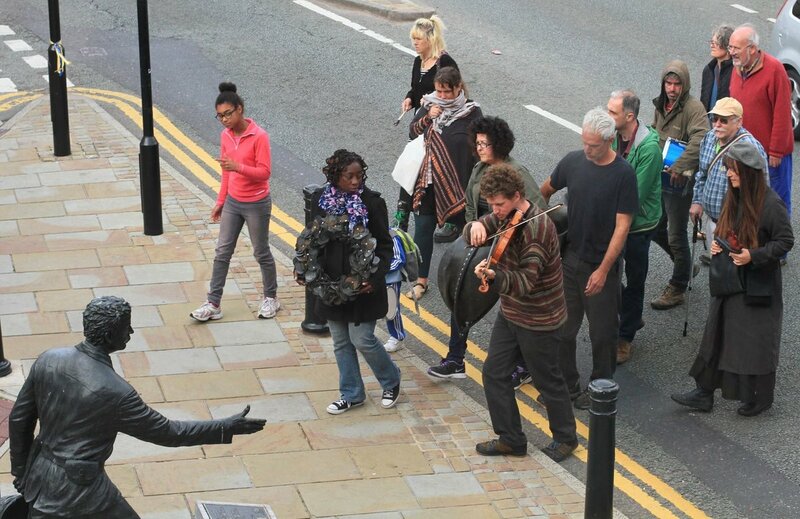 'Talking Statues' enable people to access a monologue for each statue via a QR code or short URL incorporated into a sign placed in front of it. The sound file is then accessed via the listeners' mobile phones. 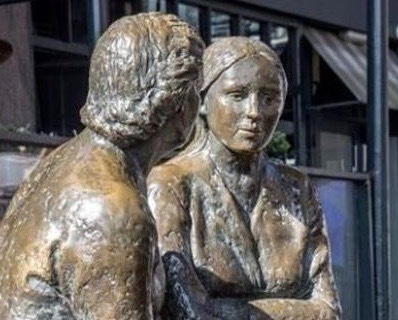 With the 'singlondon' project info@singlondon.org ( as used in this Dublin statue of two women ) the sound file is disguised as a phone call – so the listener effectively receives a call from a statue. The cost of the technology is relatively low – the main costs are hosting the website that holds the sound files and the technology design for the mobile phone. The starting price would probably be £3,000, which becomes more cost-effective if the website is hosting a number of statues – it would be an expensive way of doing just one statue but the cost would be the same for 10 or 20 (excluding any commissioning fees to write and record the text). Costs can also be reduced by getting a student or volunteer to design and maintain the technology. 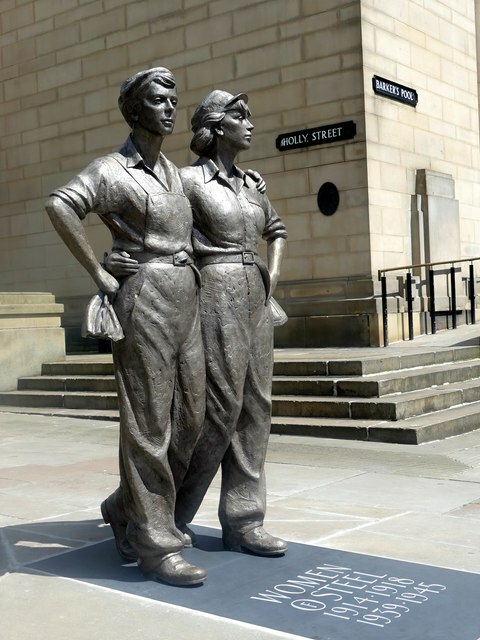 So how about installing sound in the wonderful 'Women of Steel' in Sheffield using that beautiful accapella song " The Drop Hammer " that was written for the opening ceremony? They probably would not mind shairing the privelege with other statues in the city to keep the costs affordable.